Data Protection – What You Need to know? Home/Archive Storage, Blog, Data Protection, Data Storage, Document Management, Document Scanning/Data Protection – What You Need to know? Any individual, company or organisation that gathers, holds and processes data of any variety must abide by rules set out within the Data Protection Act, these rules are known as the Data Protection Principles. Data must not be kept longer than is necessary. Data must be kept up to date and current. Data should not be acquired if it is not required or necessary. Data should be processed in line with the rights of the data subject. Data should be kept secure from damage & decay and from misuse. Data should not be destroyed too early. 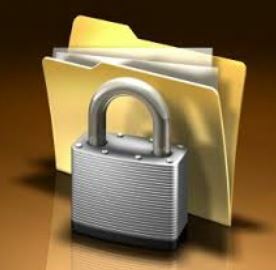 Individuals give their personal and confidential information to companies and individuals they trust. If this trust is then broken due to poor storage conditions or if this information is unlawfully processed or distributed the data controller, individual person or business responsible for breaking the Data Protection Act will be held accountable. Breaches of the Data Protection Act can carry six figure fines and even prison sentences depending on the level of the breach and the effect it has had on the data’s subject. The Information Commissioner Office (ICO) is the regulator of information rights this includes the individual’s rights to privacy of their data as well as individuals rights to know. With the world demanding transparency from the government, local council and businesses now more than ever seems to be highly important to ensure that you’re meeting you data protection responsibilities.